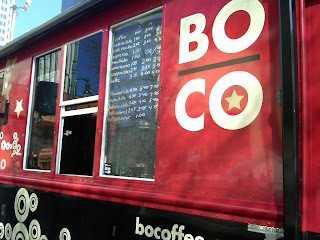 Can you call it a food truck if it only has drinks? 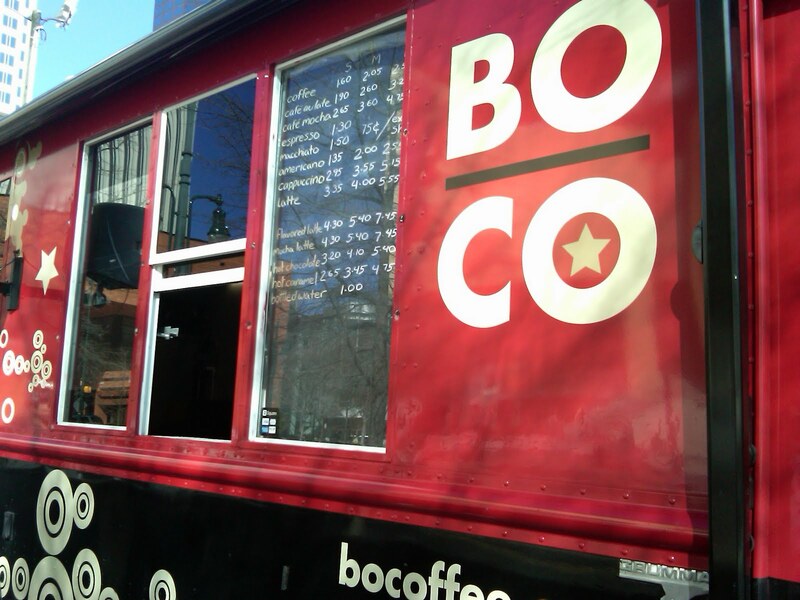 Maybe we should call the new red BoCoffee a coffee-bar on wheels. It does have an gas-powered espresso maker and a few other nifty features, including a flat-screen TV on the side so you can watch the news while you grab a morning cup, and teas from TeaRex.